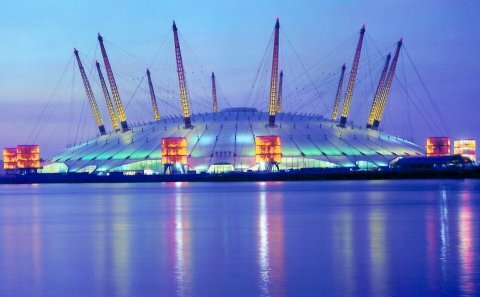 The ATP World Tour final has commenced today on the 4th November at the O2 Arena in London. Even though there is no Andy Murray who is recovering from his back surgery, fans of tennis will have plenty to cheer about with appearances from Rafael Nadal, Roger Federer, Novak Djokovic and many more in these finals. The first day has seen the first men’s singles match with débutante Stanislas Wawrinka beating Tomas Berdych in two sets to one. The indoor tennis statistics between these two players has shown that Berdych has beaten Wawrinka more times. However Wawrinka seemed to be reborn since triumphs of the US Open by making it to his first grand slam final. It seemed there was a mini Switzerland in the O2 with many Swiss fans cheering on their man Stanislas. The second set went to a tie breaker that saw Tomas claw it back to take it to a deciding set. Now Wawrinka has won his first match in the group stages, where David Ferrer and Rafael Nadal are also in the same group. Later on tonight the first group B match will take place with Juan Martin del Potro going against Frenchmen Richard Gasquet. With Novak Djokovic and Rodger Federer in the group, it could be difficult but it is something doable. The friendly giant of del Potro, nicknamed delpo was robbed whilst on his way to the finals, his bag was stolen which had travel documents and his most valuable possession of a rosary that was blessed by Pope Francis, when Juan played in Rome earlier this year. Here is hoping that this trauma will not affect his tennis and that it should be a decent match against Gasquet. On the night the Argentinian beat Richard Gasquet in a tough three sets. The first set went to the frenchman, who looked like he was going to dominate the game and gave the match his all. At times it was frustrating for Juan fans, when he was so close to getting the second set but Gasquet gained a game. But eventually delpo took the second set. The third and deciding set was exciting with both players giving it there all to then see Juan Martin del Potro winning the match on the night. Although his game needs to improve when going against Novak Djokovic and Roger Federer. Both group A and B are challenging but that is why the ATP World finals are entertaining, riveting and many matches that will have you on the end of your seat. Day two should be intriguing with the two Spaniards of Rafael Nadal and David Ferrer going against each other in group A. In group B number two Novak Djokovic will be against the Swiss man Roger Federer. Federer only made it into the finals at the O2 arena in the last two weeks. Either way both matches should be an interesting watch.